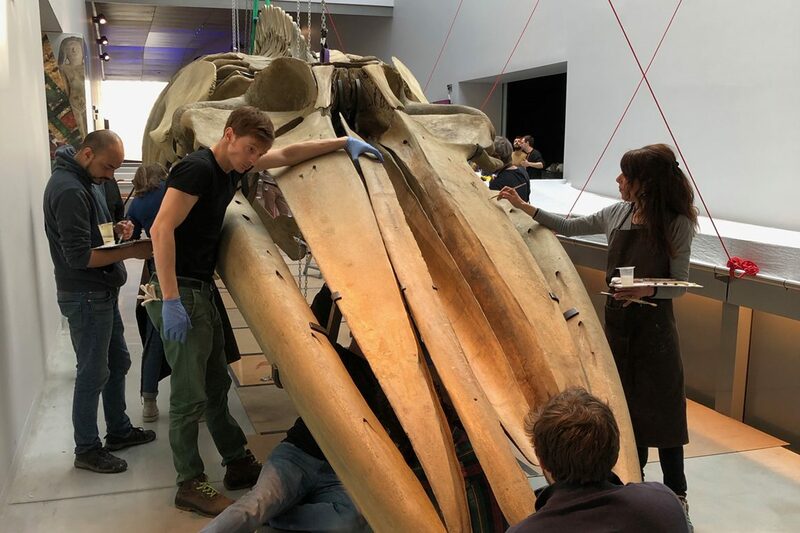 In 2018, the Musée des Confluences in Lyon awarded aïnu for a major restoration, mountmaking and installation operation for a fin whale skeleton. 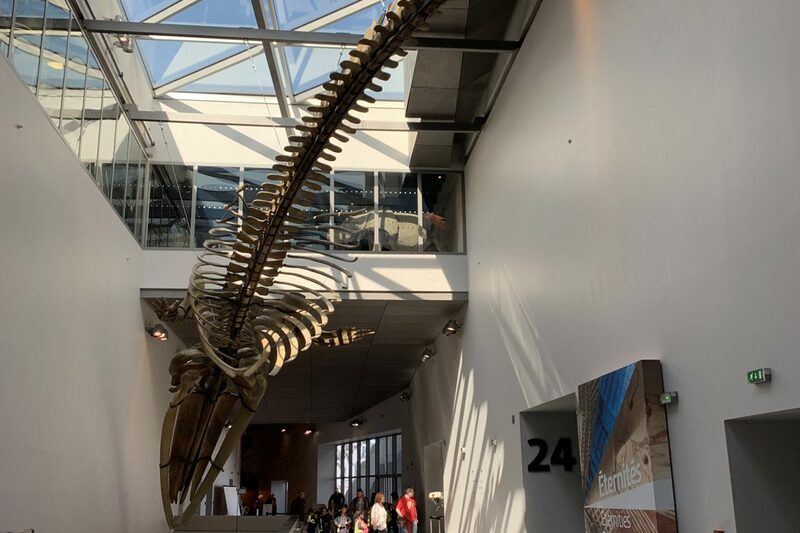 Our mission was to present the 17 meters long and 2.5 tonnes specimen in the permanent galleries. 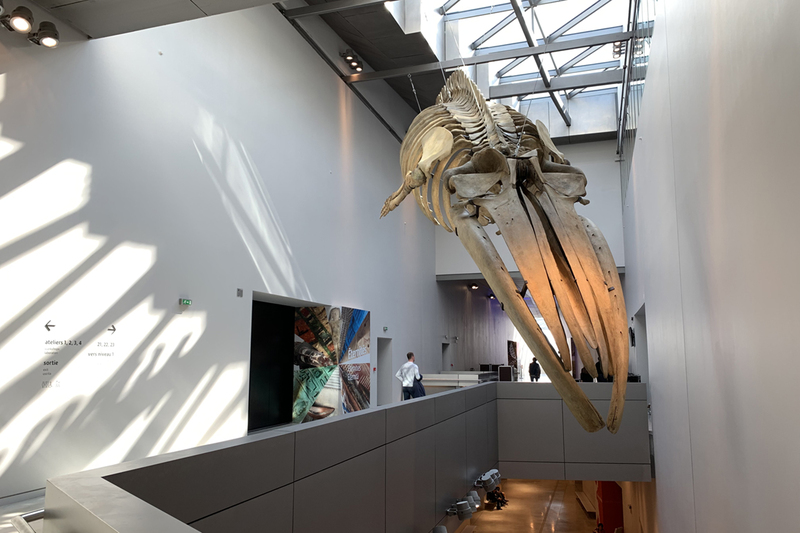 After several years spend in museum reserves, the whale is now suspended in the air, greeting the visitors. A vast and unprecedented operation. 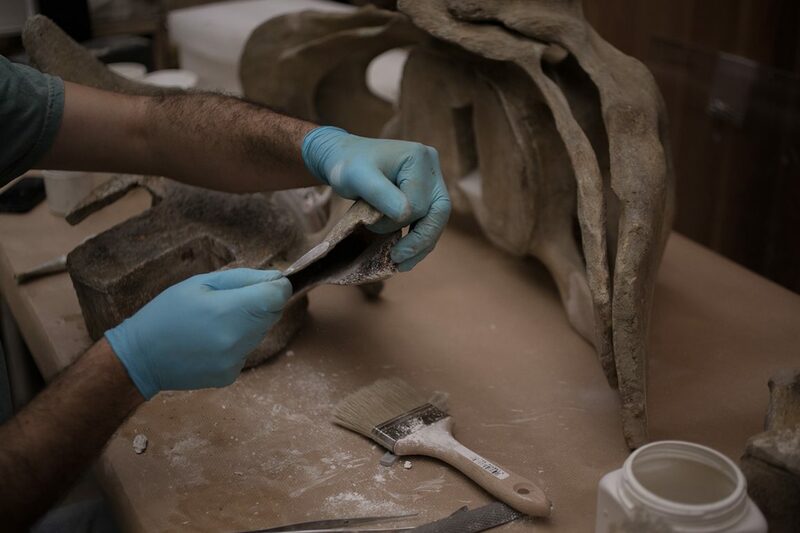 In 2014, our team already worked for the presentation of its impressive Mammoth skeleton. 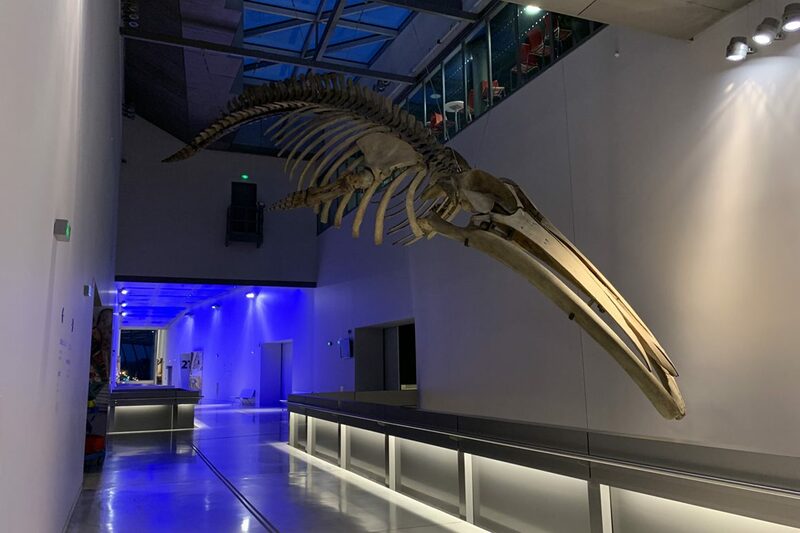 Visitors to the museum can now observe the anatomy of this exhibited animal in a dynamic position during their visit.